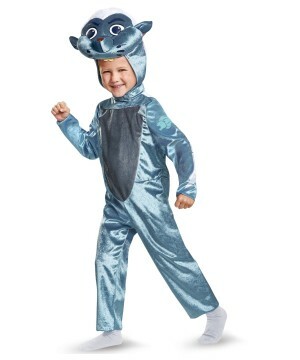 Includes a blue jumpsuit with a hood, gray belly and a white tail on its backside. It also comes with a smiling Bunga face headpiece, Care Instructions include to Hand Wash Cold. Do Not Bleach. Line Dry. Cool Iron If Needed. Do Not Dry Clean. Available in sizes Toddler (2T), Toddler (3T-4T) and Small (4-6). Bunga is one of the bravest members of the Lion Guard. Following his heart, he is ready to leap into danger without a second thought! With this costume, you can be as brave as Bunga in this jumpsuit! 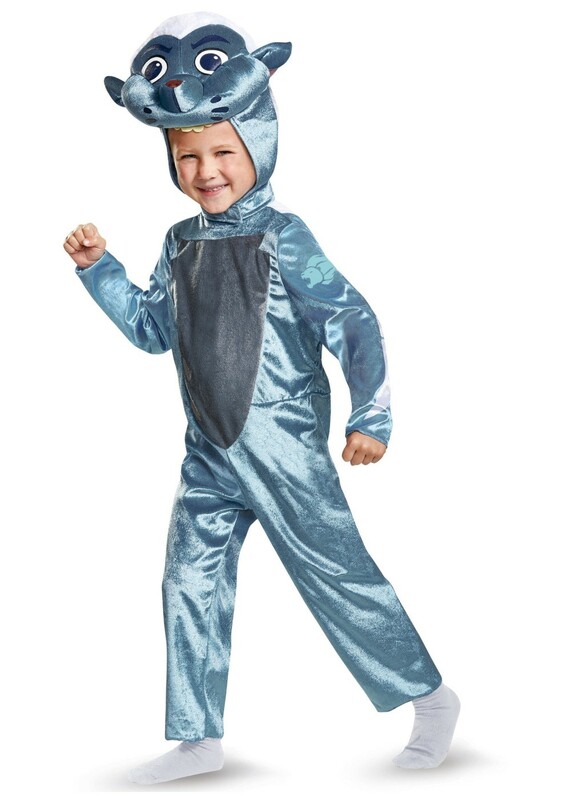 Review(s) for " Bunga Toddler Boys Costume"